Unless you’ve been living under a rock, metaphorically of-course, you must have read the news that Google doesn’t provide a free Google Apps plans anymore. Which means that if you want to host email for your domain with Google Apps, it is going to cost you $5/user/month. 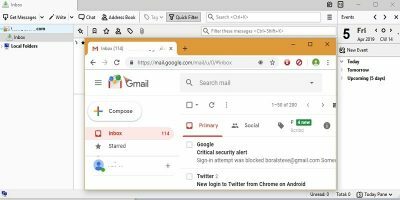 Millions of individual domain owners had been using Gmail for their email needs and will now need to either switch providers or lose access to their emails. Thankfully, there are other options out there and one of them is Microsoft’s new and shiny Outlook.com service. 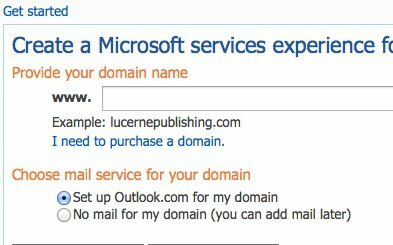 Read on to find out how to use Outlook.com to host your email for your domain. The first thing that you need to do is sign up for a live.com account. Once that is done, head over to domains.live.com and click on the “Get Started” link under Custom Domains. Enter your domain name in the text box, select the radio button that says “Set up Outlook.com for my domain” and hit Continue. Click “Accept” and on the next screen and you will be presented with the DNS settings that you will need to enable Outlook manage emails for your domain. 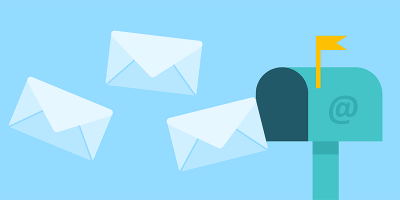 Let’s take a step back to understand how email is delivered. 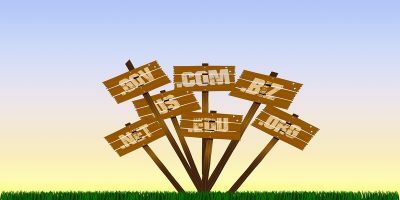 DNS is the domain name system that lets you browse over to any website on the Internet by just using it’s domain name. 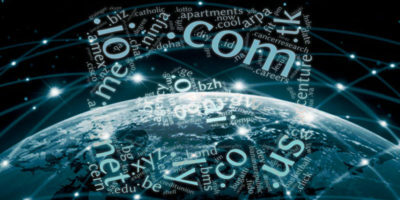 It comprises of a bunch of different entries (records) for each domain name on the Internet. The servers that maintain these records are called DNS servers. Each domain has an associated MX record. The MX record points to the server that is supposed to accept emails for that particular domain. This record is the one that has to be changed if you want Outlook.com to manage your email instead of Google or any other provider that you were using earlier. If you don’t know how to edit the DNS settings for your domain, head over to your domain registrar’s website and their tech support guys will be happy to handle them for you. The MX record is the most important and without that entry Outlook/hotmail cannot receive emails for your domain. To allow other mail servers to trust email originating from your domain, you are also recommended to add a TXT record. The settings are on the same page under the heading “Server trust”. Once you’ve made the above changes, DNS systems around the world are notified of the change to your domain. This process happens automatically and your new settings can take a couple of hours to propagate throughout the Internet. After a few hours, refresh the page and Outlook will detect the DNS changes you made and let you add users to your account. 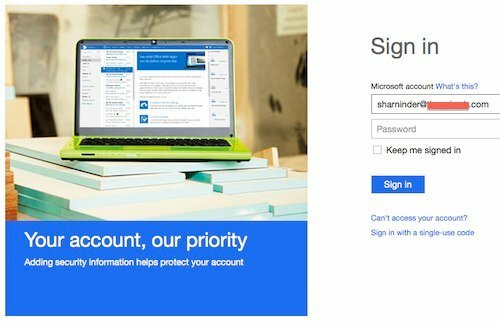 Add new users to your account from the “Member Accounts” link and start using your new Outlook.com email. If you want you can also add a CNAME record to your domain’s DNS entry that will let you access your Outlook.com email by accessing a sub-domain of your domain, for example: email.domain.com. If you’re not sure how to handle this, I’d suggest that you talk to your domain registrar’s support guys. Wasn’t that easy ? 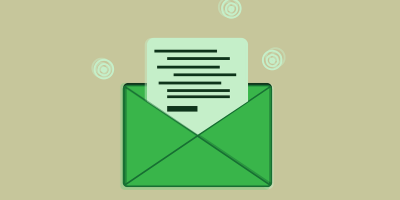 Now, enjoy your free email service without all the hassles of managing an email server. 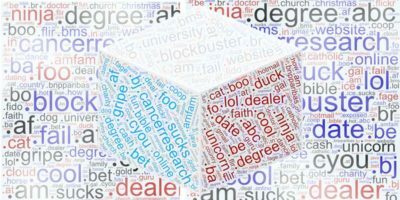 Does Live Domains support SPF records to prevent email domain spoofing? I use SPF in my Google Apps domain. What about support for IMAP and push services for Android mobile? This article is not accurate! Everyone who now has a Google Apps account is grandfathered in. You can keep your Apps account but you can’t begin a new account in less your ready to pay for it. inaccurate, always do fact checking first. Thanks for sharing this nice post. Outlook.com is a top-notch online email service because it does so much more. We love the sleek design, easy-to-navigate interface, social networking integration and in-browser document editing.